European Athletics President Svein Arne Hansen has insisted that the sport is not dying and claimed that this year’s World Championships proved to doubters that it is still going strong. 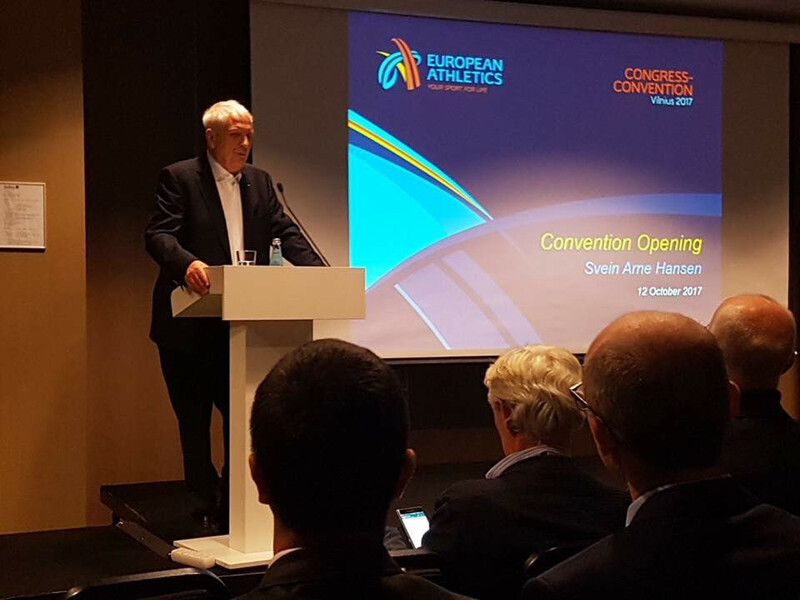 Hansen was speaking at the official opening of the 2017 European Athletics Convention and Congress, which got underway here today. His staunch defence of the state of athletics comes at a time when it is shrouded in issues surrounding doping. "We’re not a dying sport," the Norwegian said. "We have some challenges, but when the media talks down on the sport, they’re just plain wrong." Hansen went onto say that athletics needed the nine days of competition at the 2017 World Championships, held in London from August 5 to 13, to show "we are strong, we can deliver, we can innovate, and we can entertain". The 71-year-old expressed his gratitude to International Association of Athletics Federations President Sebastian Coe, who was among those in attendance at the official opening and later delivered a short speech himself. "London was the right kind of promotion of our sport," Hansen added. "So Seb, thanks to you, your team, the Local Organising Committee in London, UK Athletics, and everybody else involved. Hansen also stated his happiness to say that Europe is "back to being the strongest of the six continents", citing the 53 medals, 18 of which were gold, won by its athletes at London 2017. "This is fantastic and congratulations to all," he said. "It is obvious that we have stars and that they are well spread around the continent. 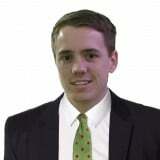 "That gives us a lot of potential and opportunities to build on the future. "Presidents, other leaders, coaches - I don’t need to tell you to listen, but keep up that good work." 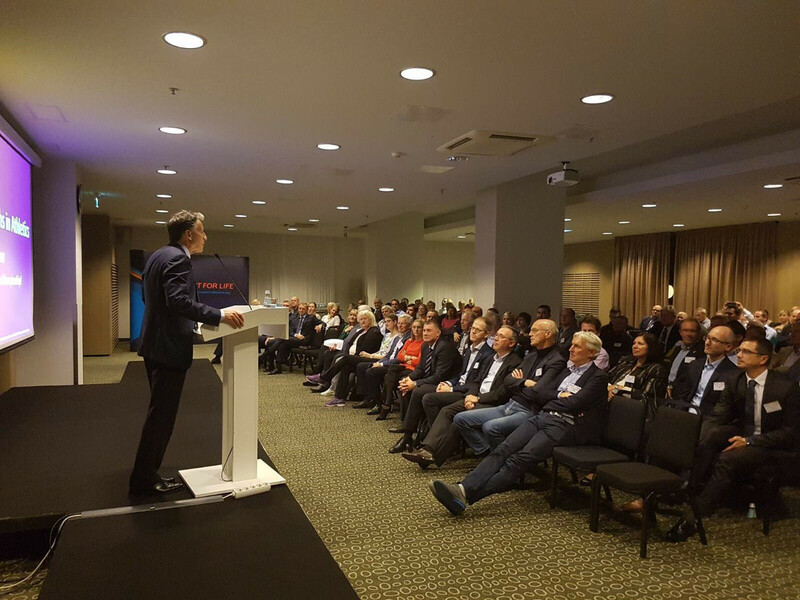 The official opening came at the end of a day which saw five workshops held on topics including childhood protection and European Athletics’ "I Run Clean" online anti-doping education platform. A data project was also brought under the spotlight along with Age Group Championship opportunities and European Union funding. The Convention is due to continue tomorrow with a calendar conference and networking session, and Member Federation leaders forum. The Congress and European Athletics Golden Tracks awards ceremony are scheduled for Saturday (October 14). Last year's European Athletics Convention was hosted by Madeira’s capital Funchal.